Information and applications are now up for Summer Conservatory 2016! 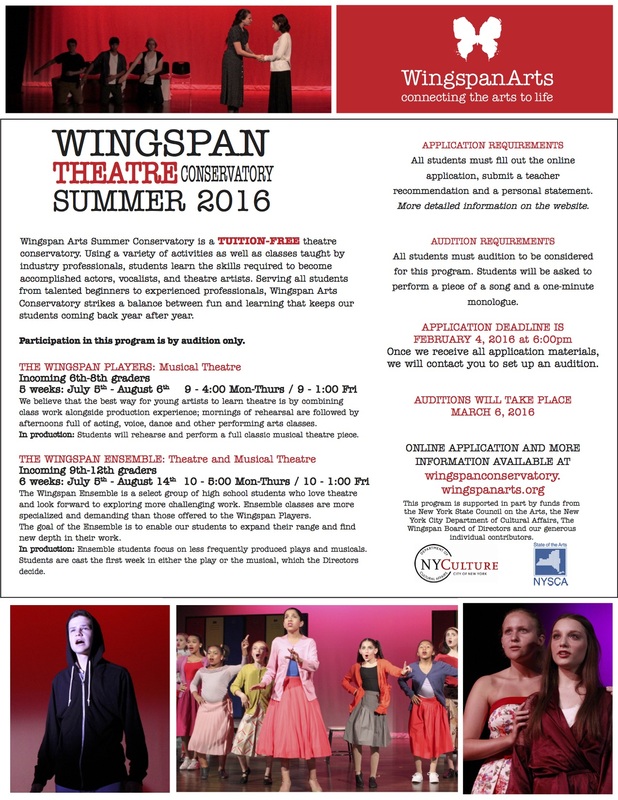 Go to the Summer Conservatory page for more info and application. 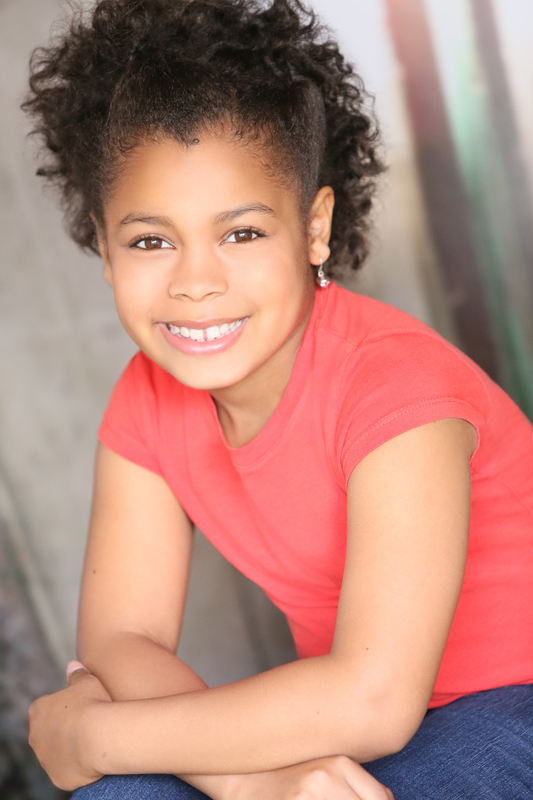 Wingspan Players student, Casey Watkins, just booked the ANNIE National Tour and will be playing Duffy! Make sure you check the tour schedule and go see her shine! Zoe Wilson is at it again with 2 really exciting projects! 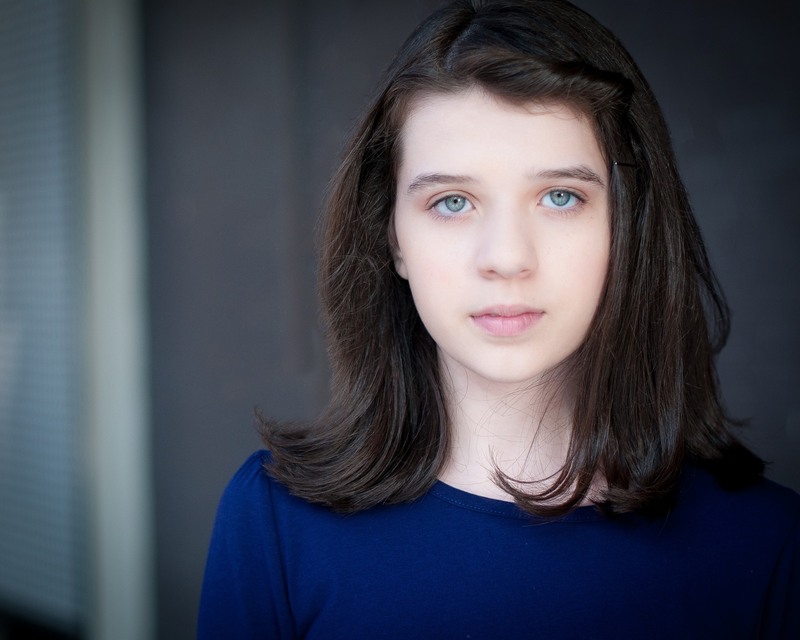 She just played Bijou in the Roundabout Theater’s developmental reading of the new musical BIJOU AND THE BOTS. She will also be appearing at 54 Below on November 3rd in a presentation of the new musical, DIANA & NAVY & THE GOLDEN TOOTH. Former Wingspan Conservatory student, Aneesa Folds, just hit the road with the RAGTIME National Tour as Sarah’s Friend. Be sure to check out dates and go see her! Did you watch footage of the Pope’s visit to NY? Well then you may have caught a glimpse of our student, Asila, performing for him with The Young People’s Chorus! Students and Alumni: Have exciting news you want us to share? Email Marissa!